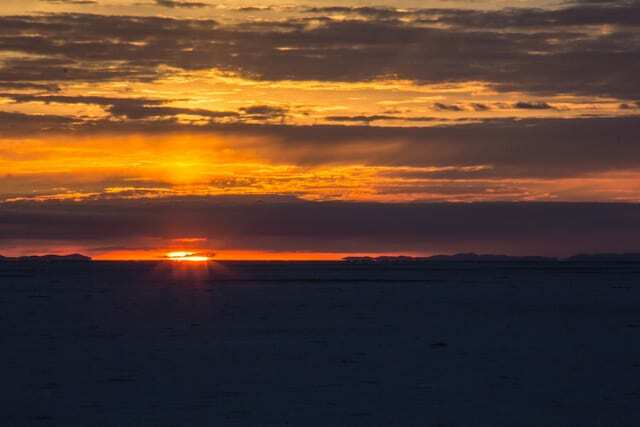 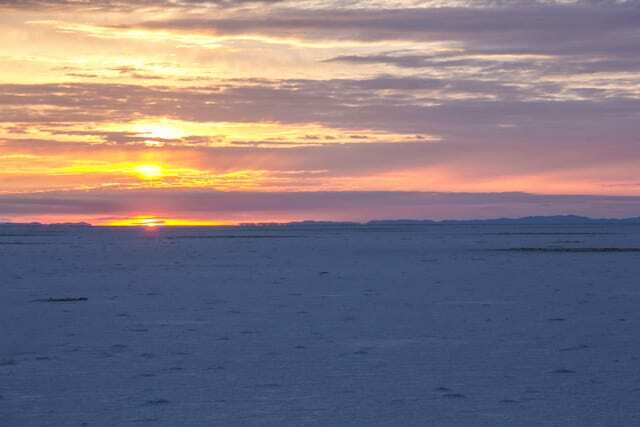 We were woken and bundled into our car by 4.30 am and the reason for this was to see the spectacular sunrise over the Salar. 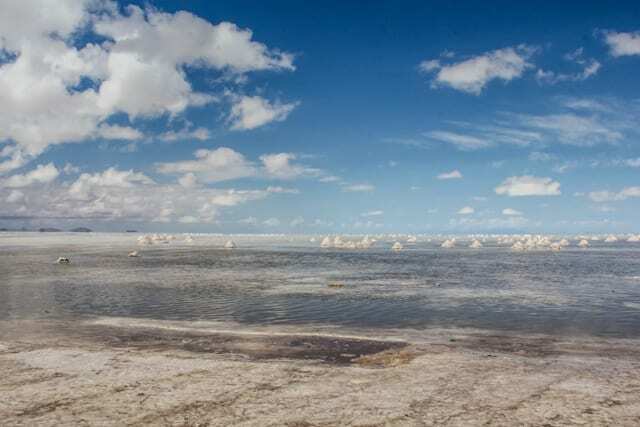 There had been a bit of rain over night but not enough to prevent our trip thankfully, but juuuust enough to put a thin layer of water arounfd the edge of the Salar which created some sensational reflections. 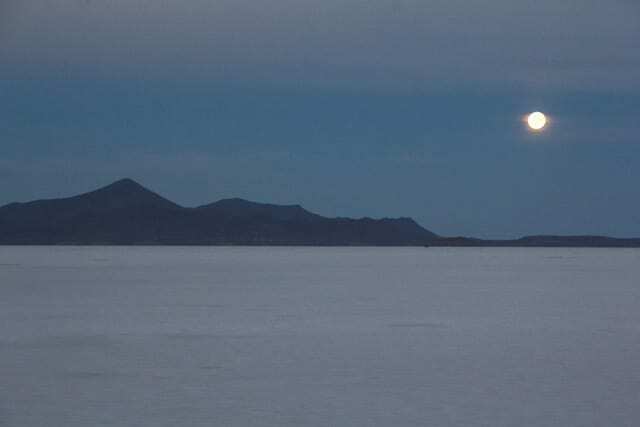 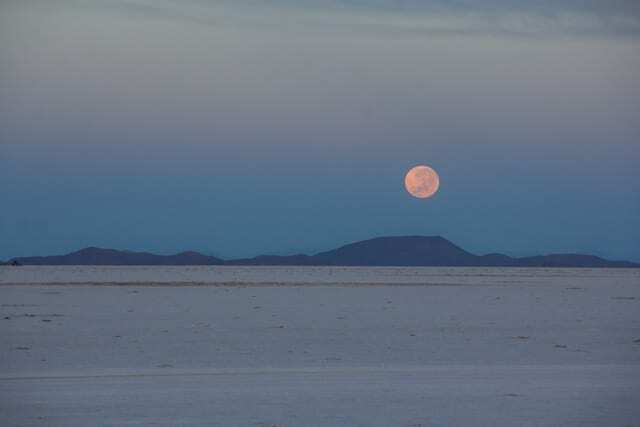 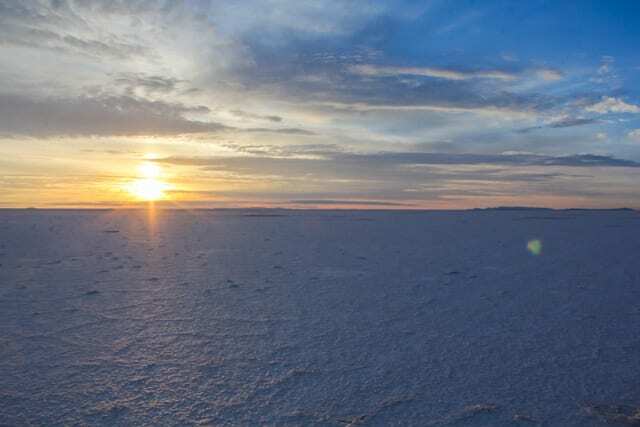 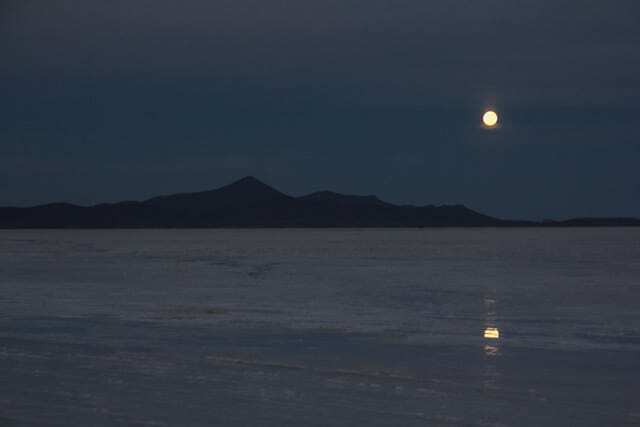 We saw the moon set and the sun rise at the same time on either side of the Salar! 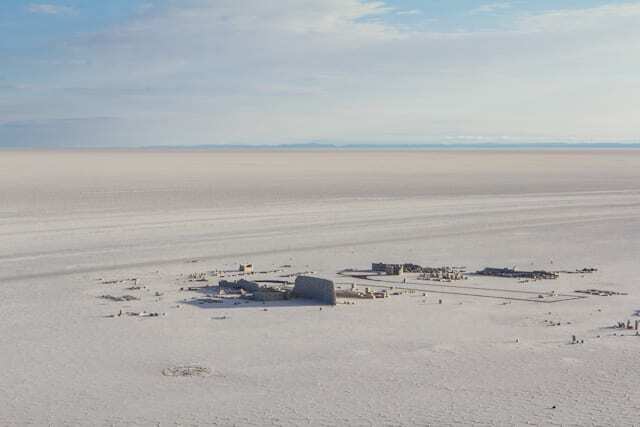 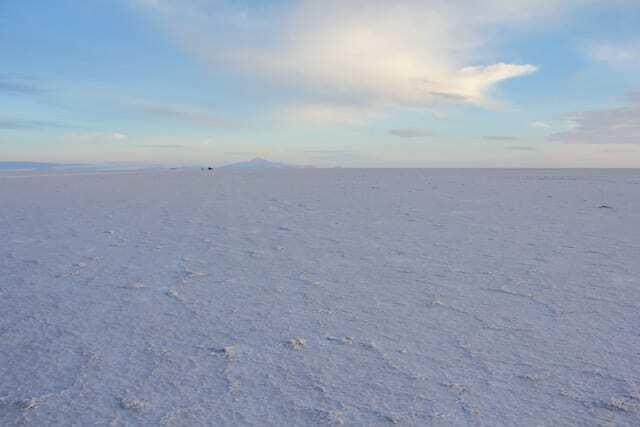 Isla Incahuasi is in the middle of the Salar. 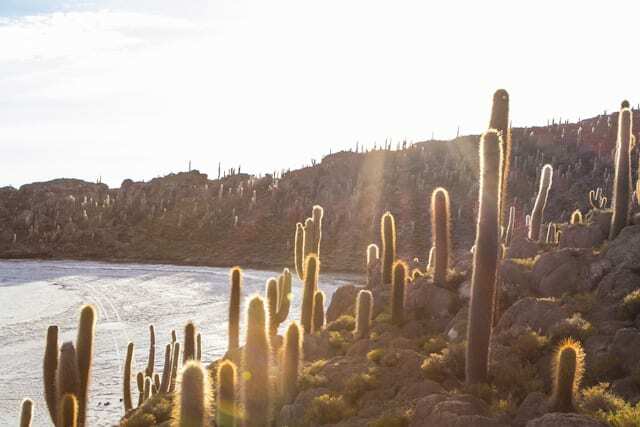 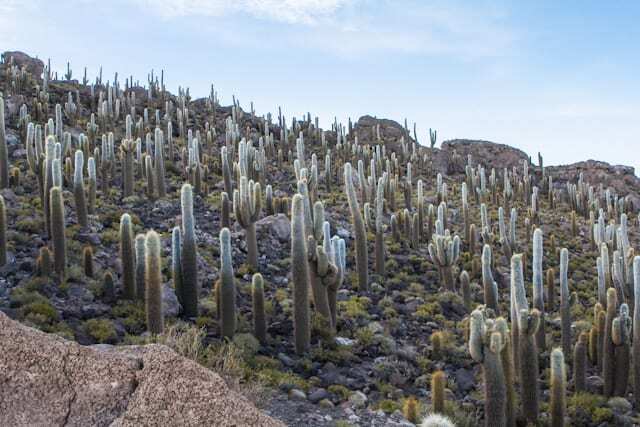 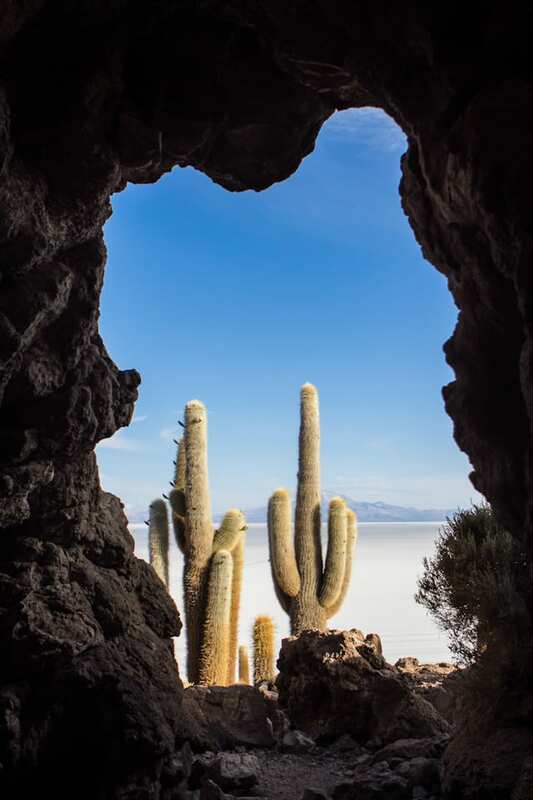 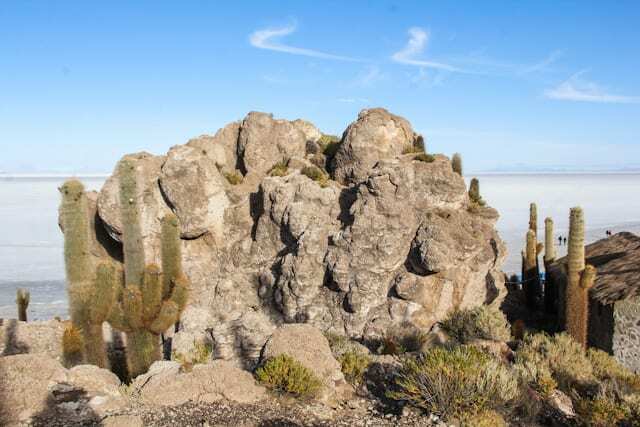 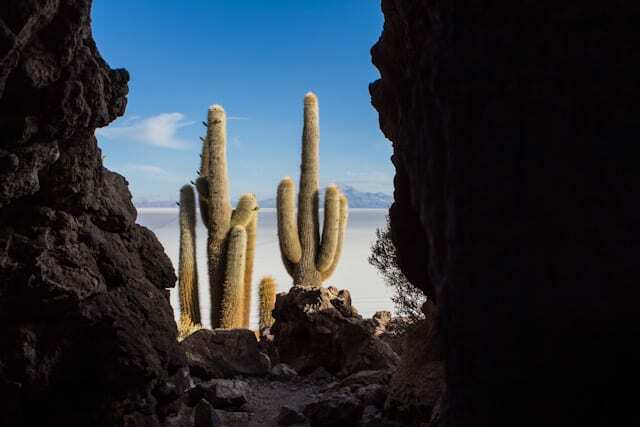 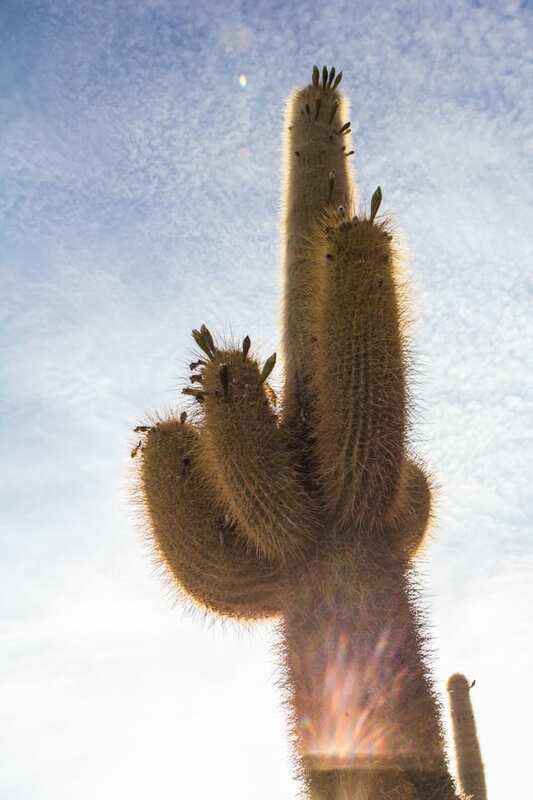 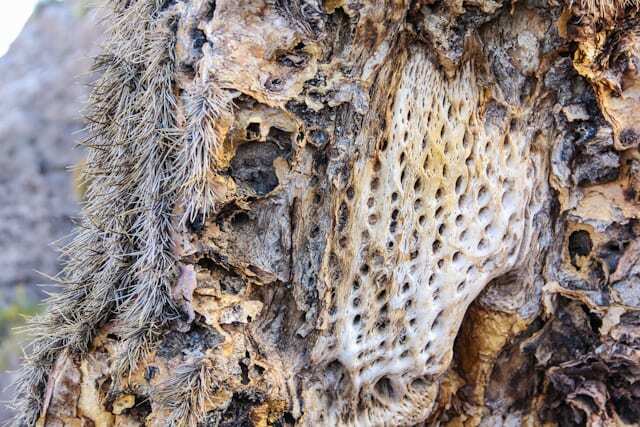 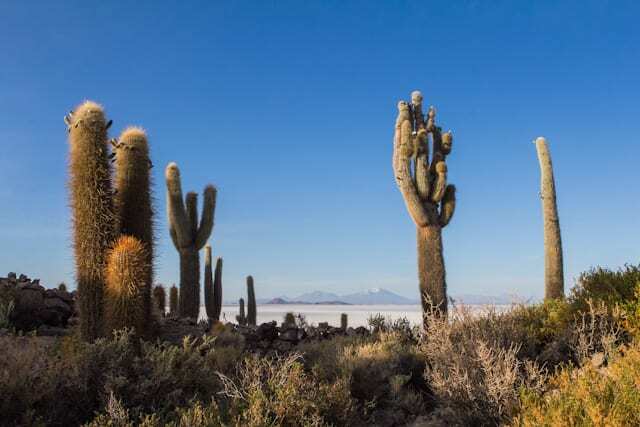 Incahuasi has gigantic cacti growing all over it and there are unusual and fragile coral-like structures and deposits that often consist of fossils and algae. 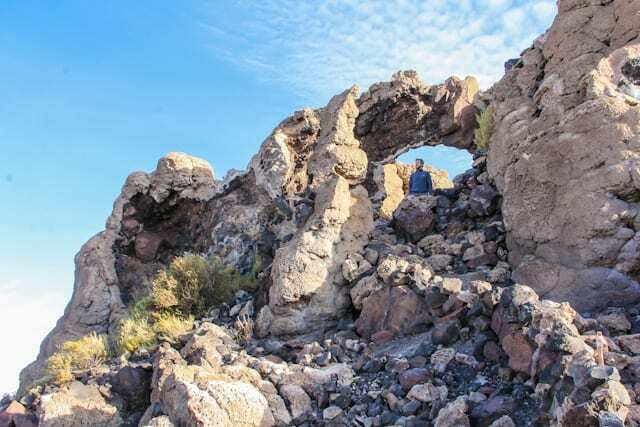 The place is the top of the remains of an ancient volcano, which was submerged when the area was part of a giant prehistoric lake, roughly 40,000 years ago. 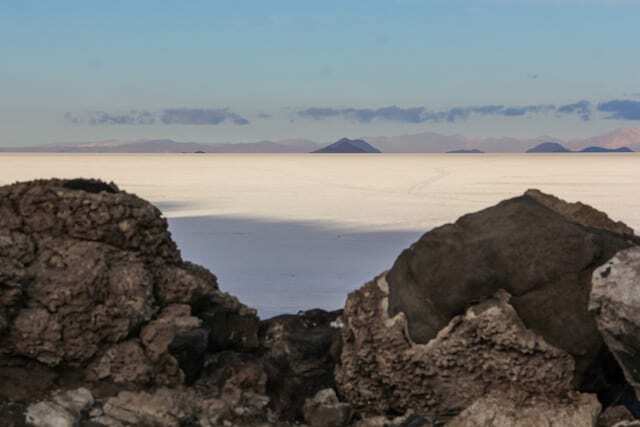 From the top of the island there are amazing views of the surrounding Salar. 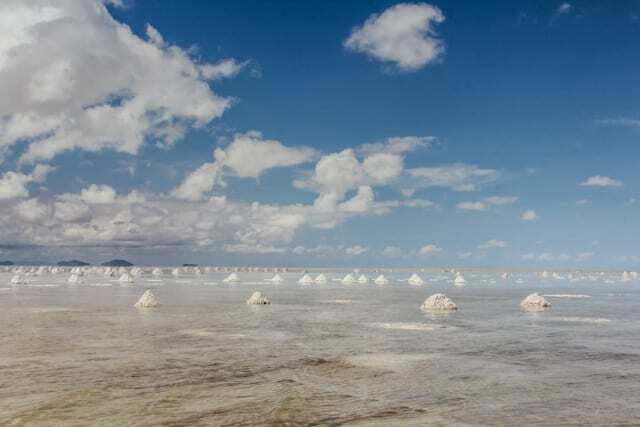 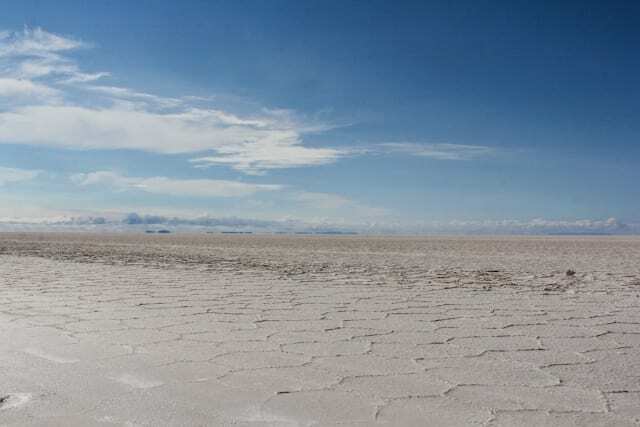 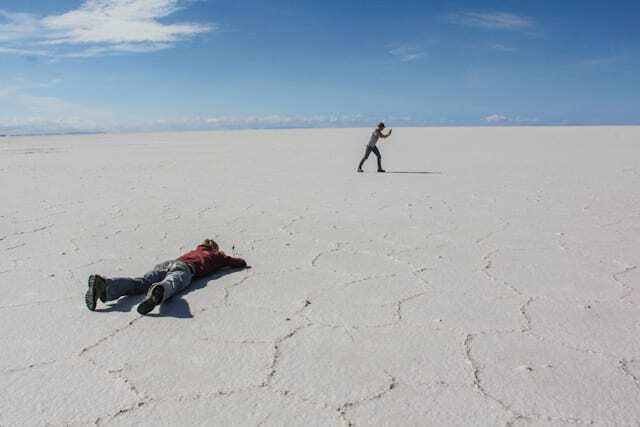 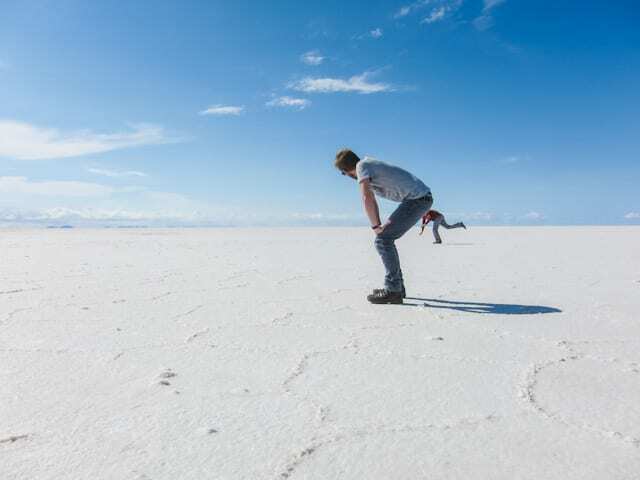 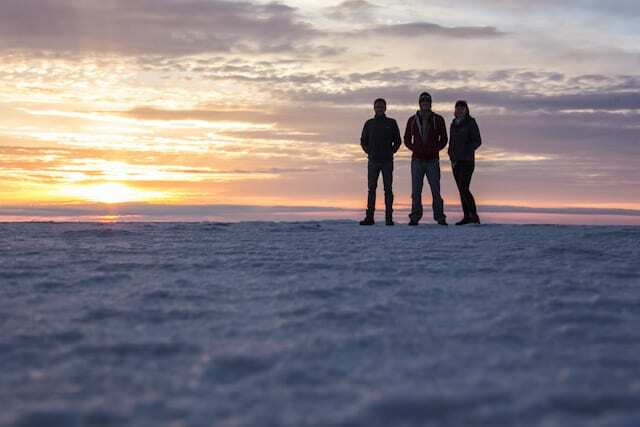 If you google the Salar the thing you are most likely to come across are tourists doing rididulous perspective pictures, which we duly joined in on. 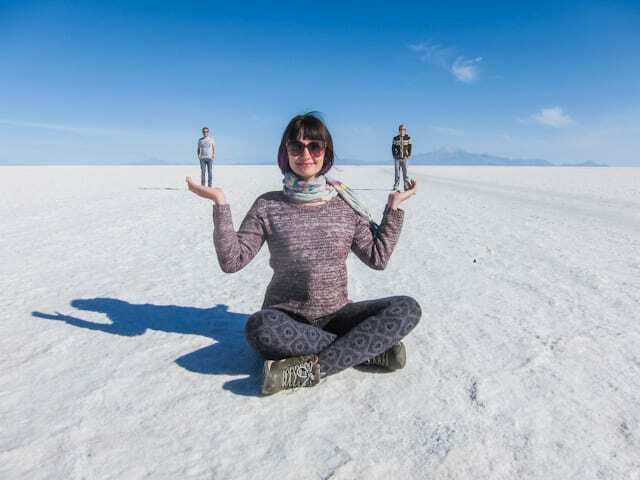 (The perspective pics are courtesy of our wonderful friend Maaaaaark (check out his inspiring travel blog: www.tunafish.es). 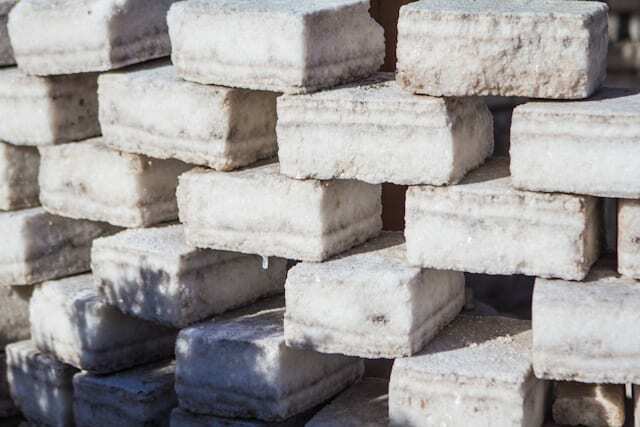 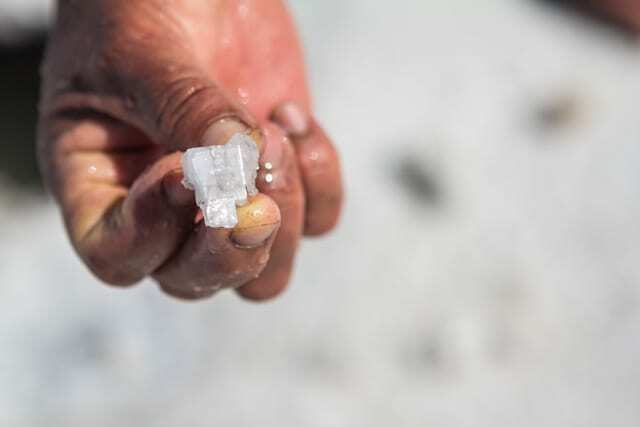 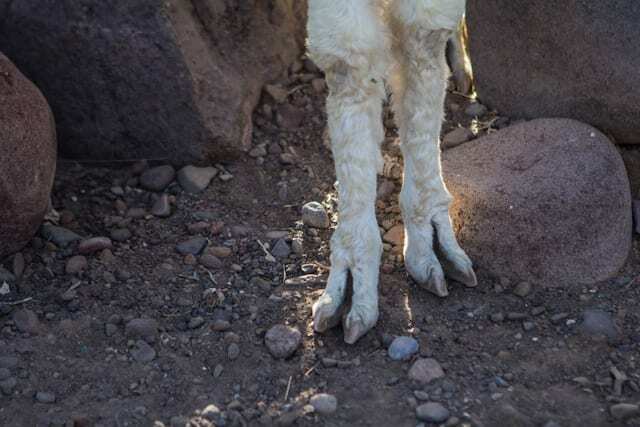 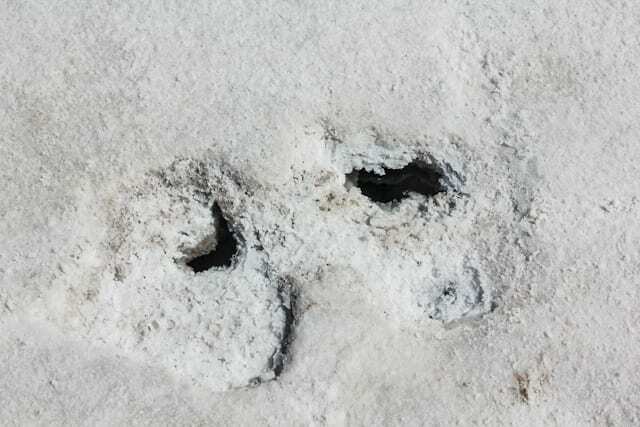 “Eyes” of the Salar are little watery holes scattered around the area that have the most fascinating square pieces of salt, or salt crystals. 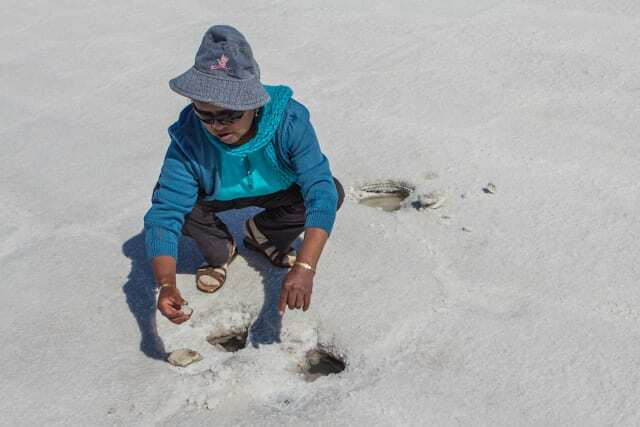 Ira got her hands salty digging some up for us. 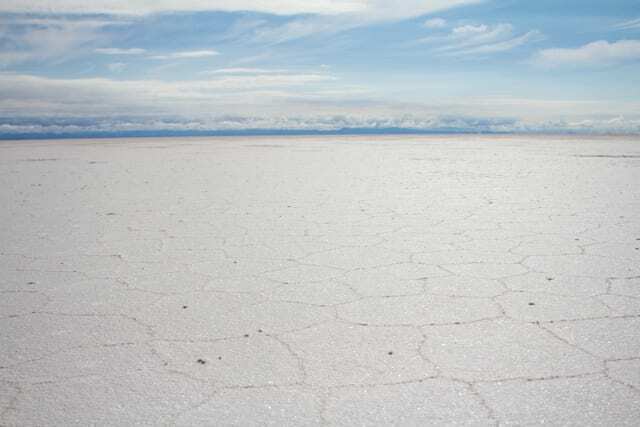 And just like that we were out of the Salar and back in the ‘real’ world. 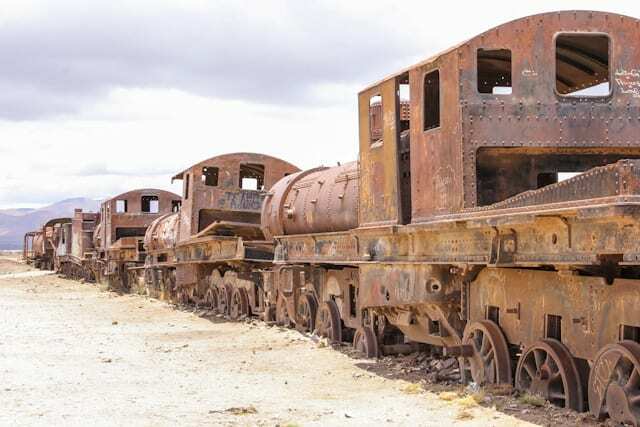 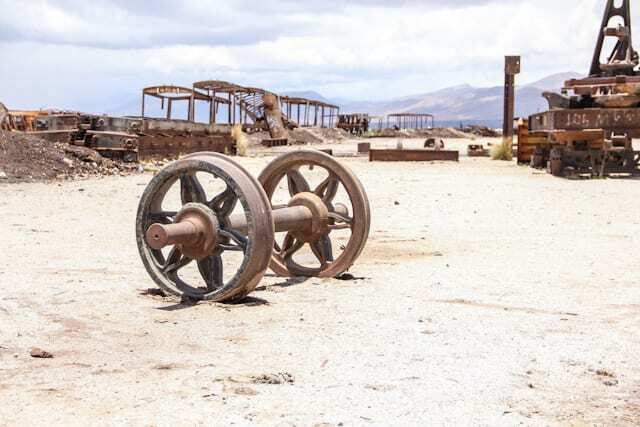 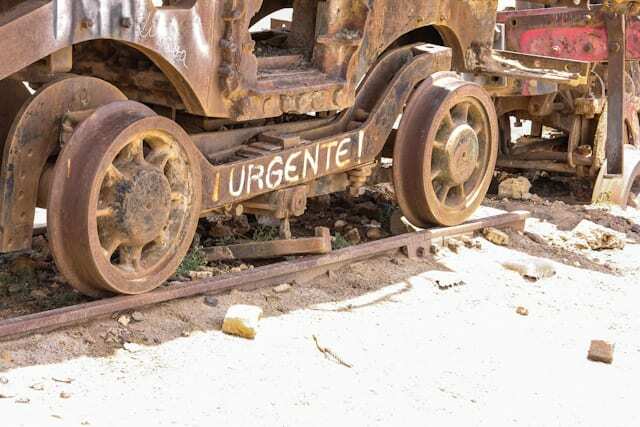 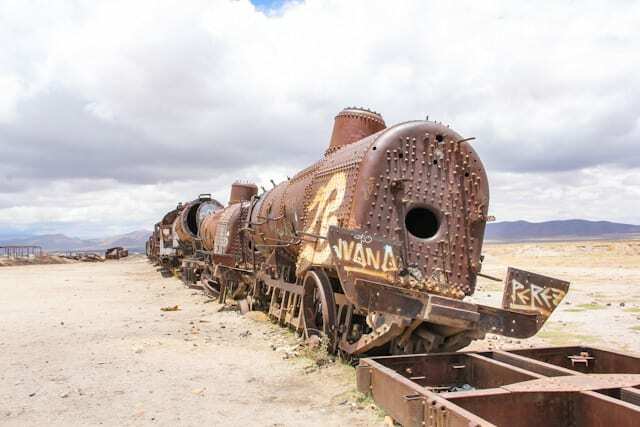 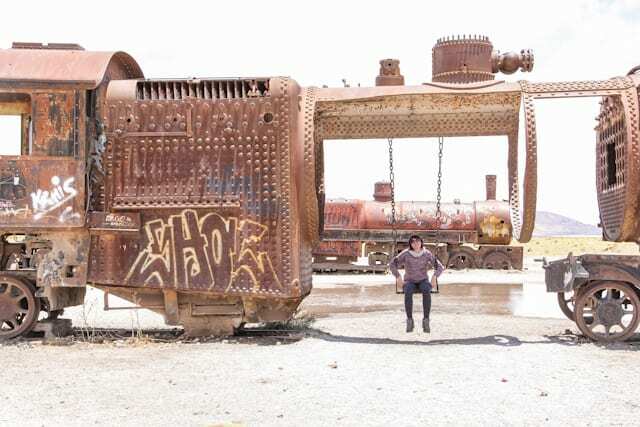 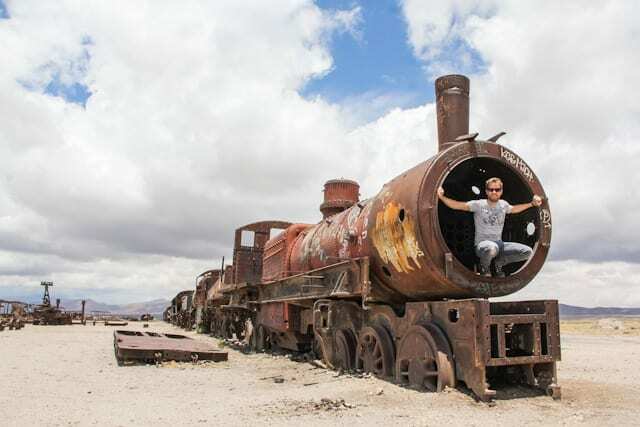 Our last stop was the train cemetery, which, as its name suggests is a lot of abandoned trains. 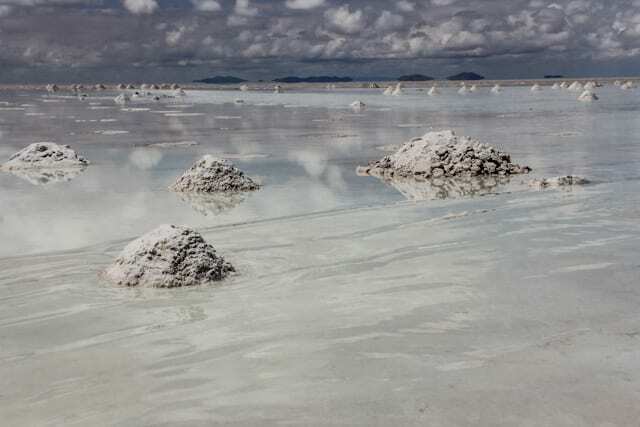 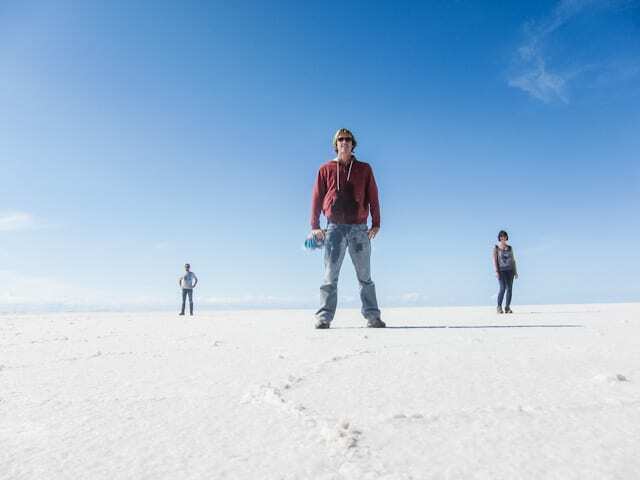 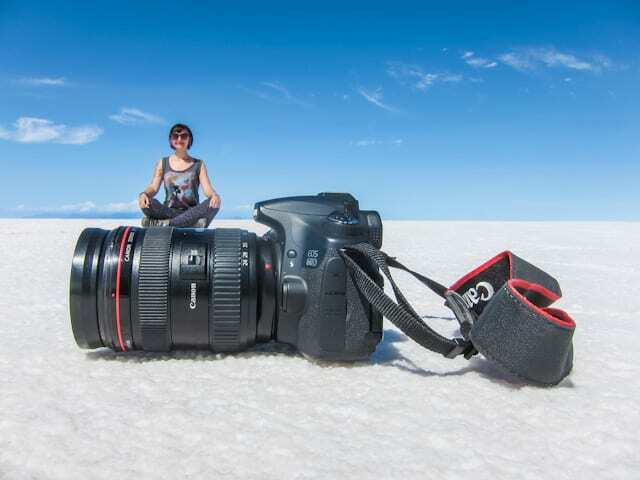 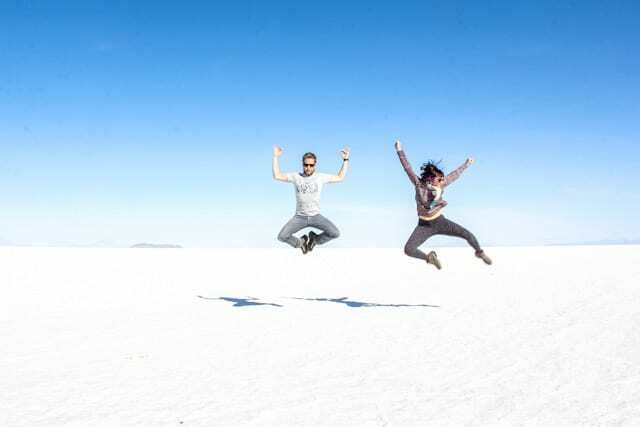 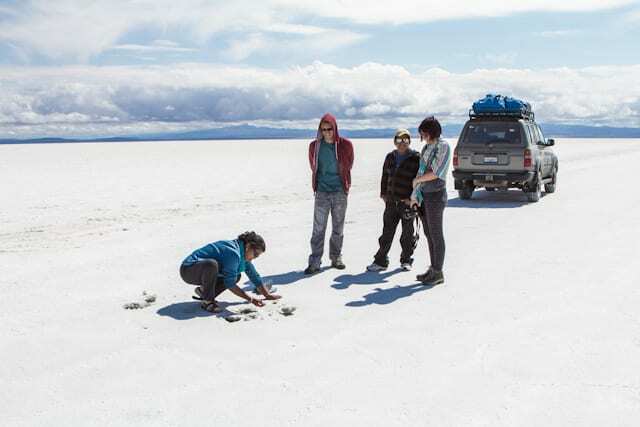 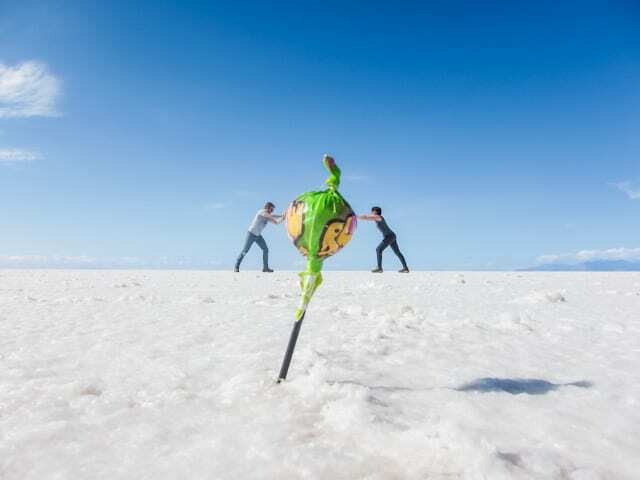 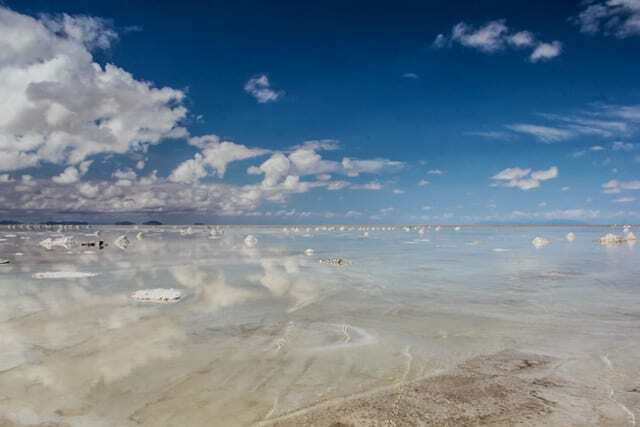 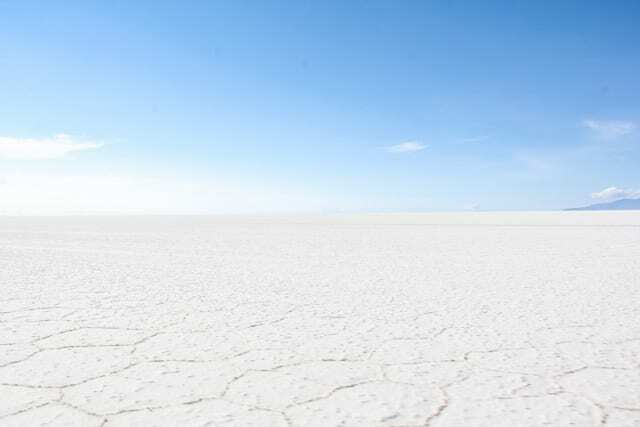 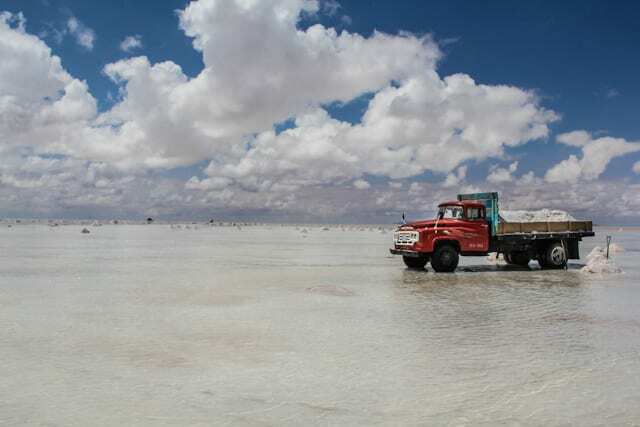 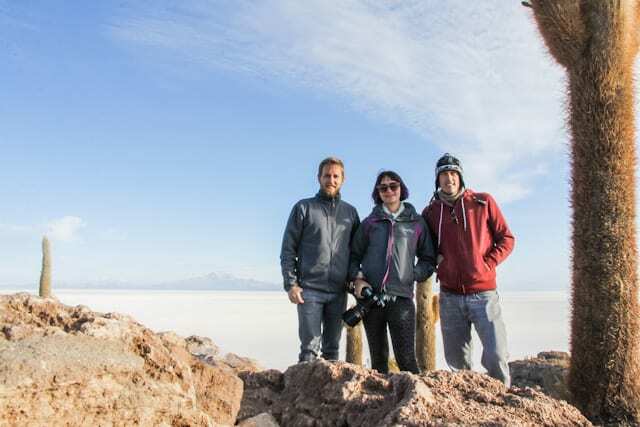 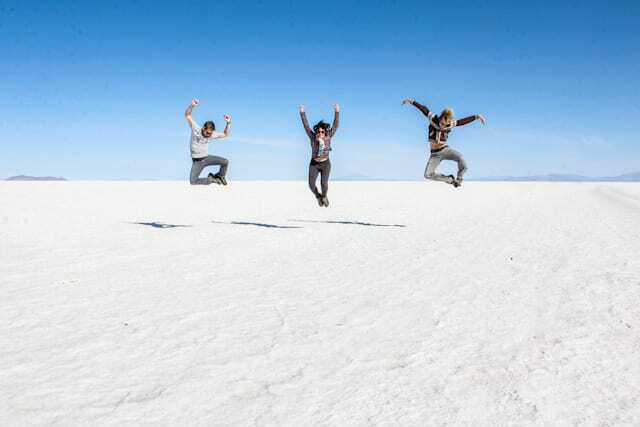 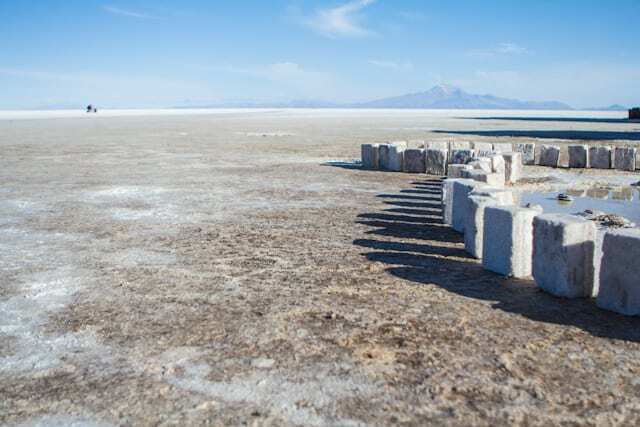 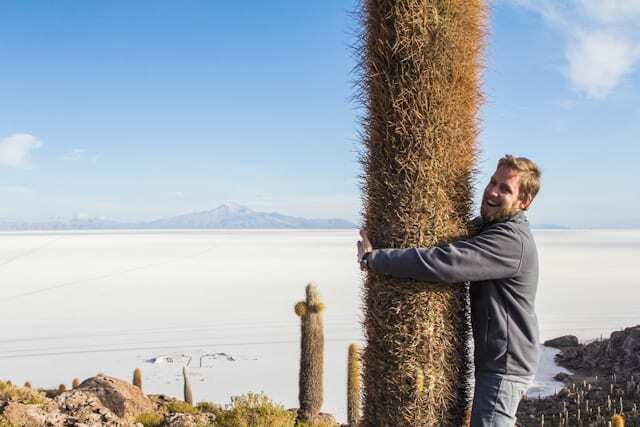 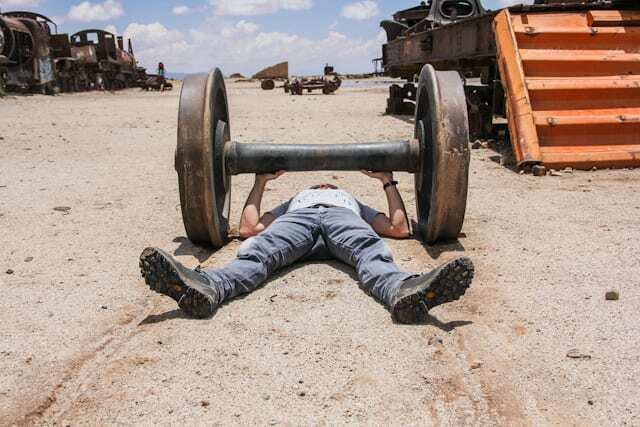 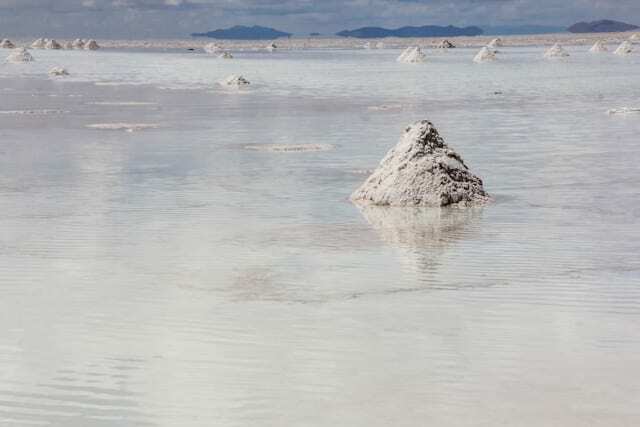 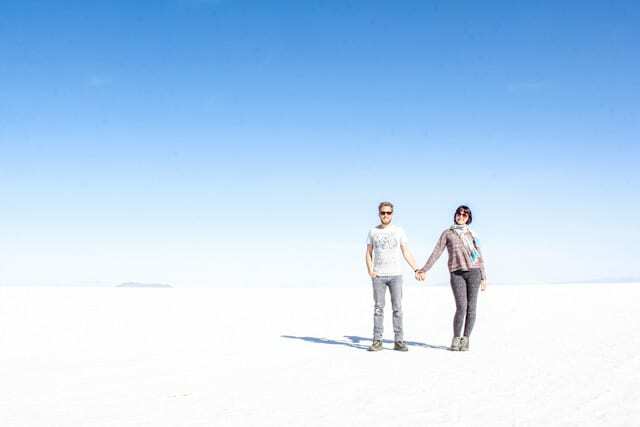 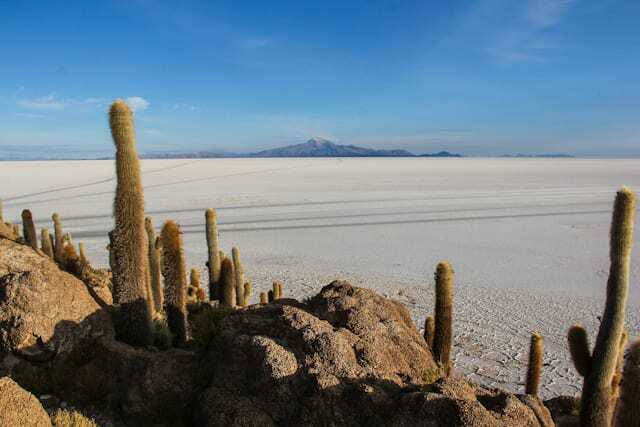 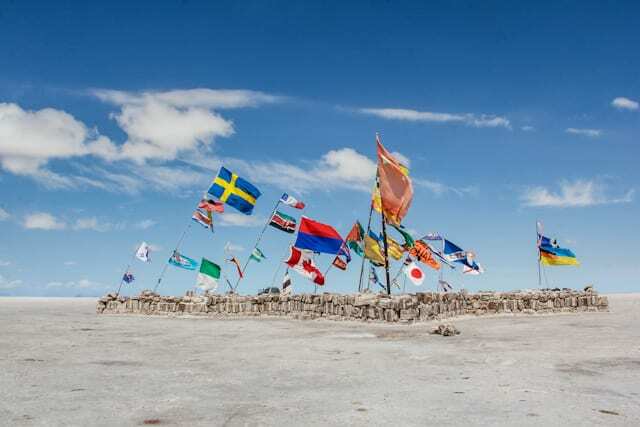 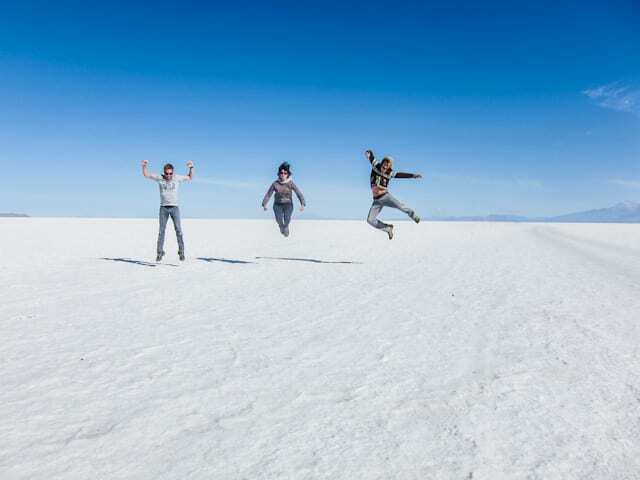 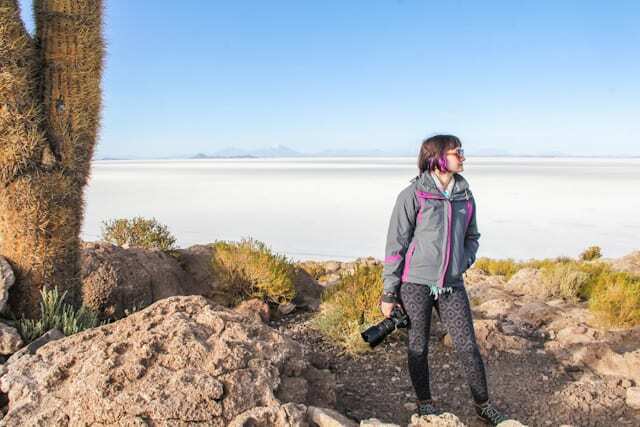 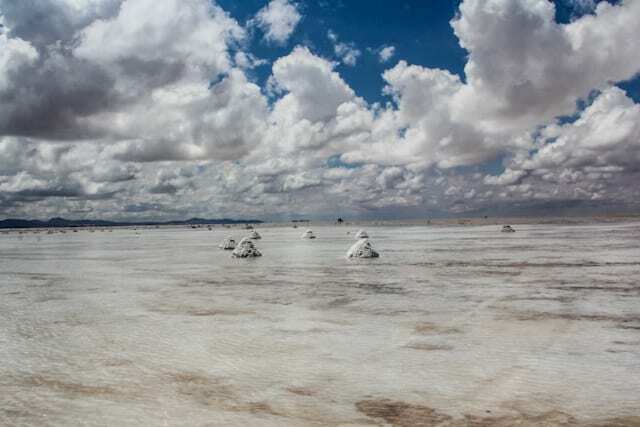 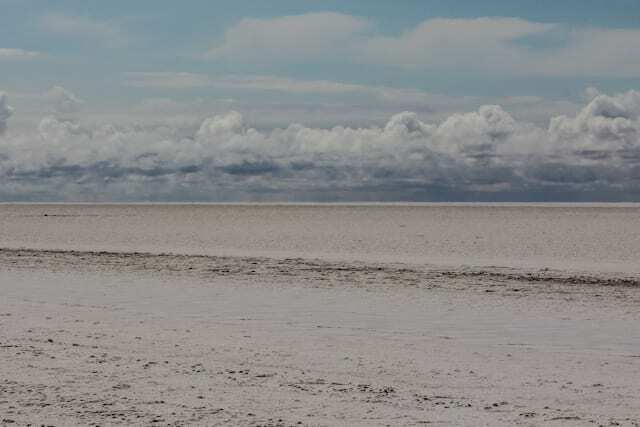 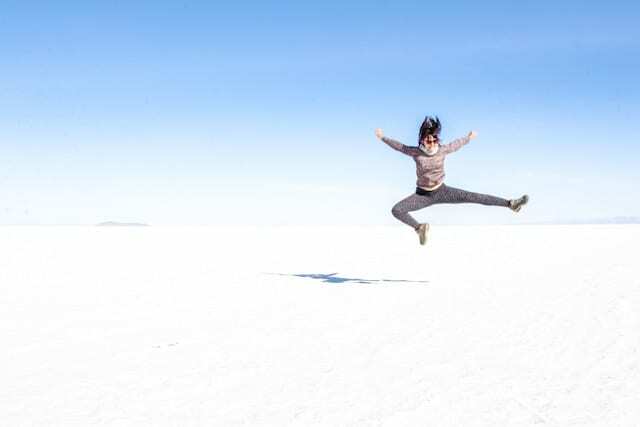 If you start your trip in Uyuni it is the first site you go to and must be quite a sight, after everything we had seen the last 4 days it didnt seem quite as spectaular but was still quite fun to bugger around on. 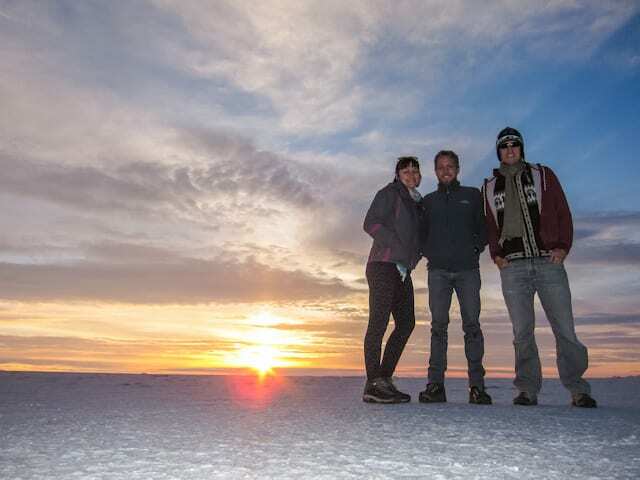 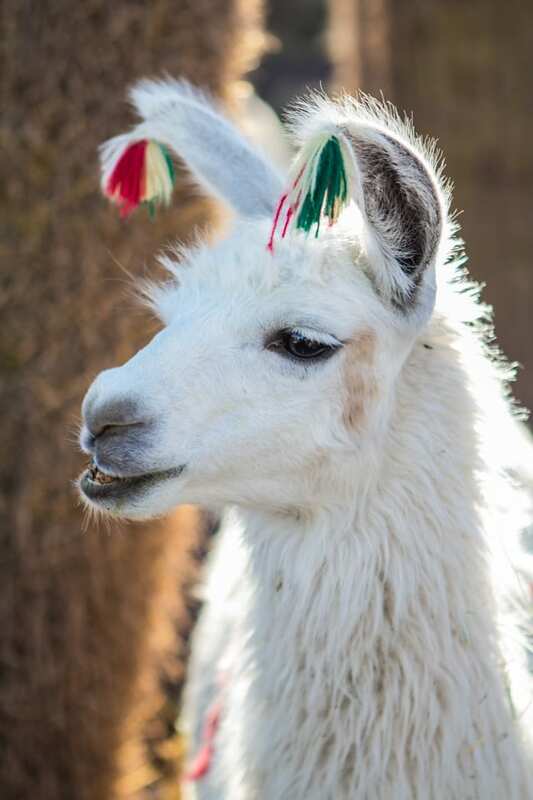 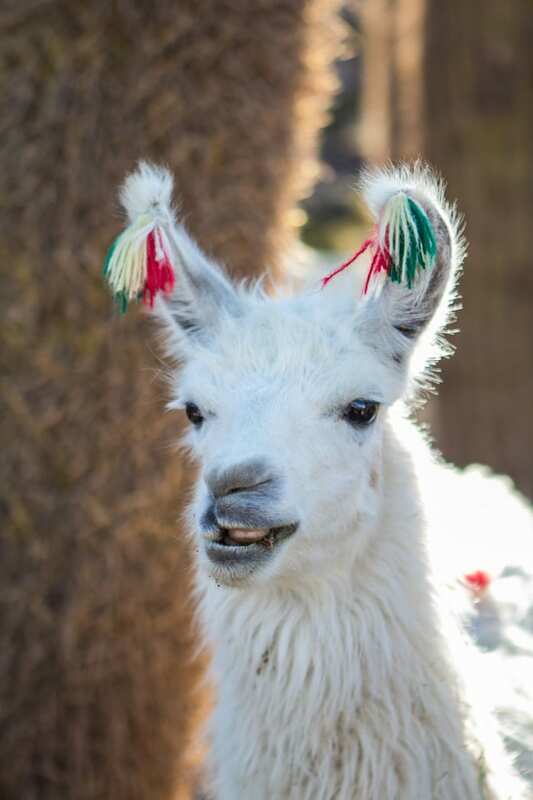 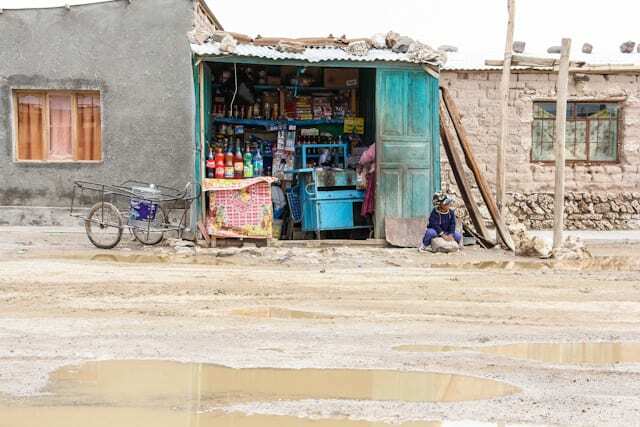 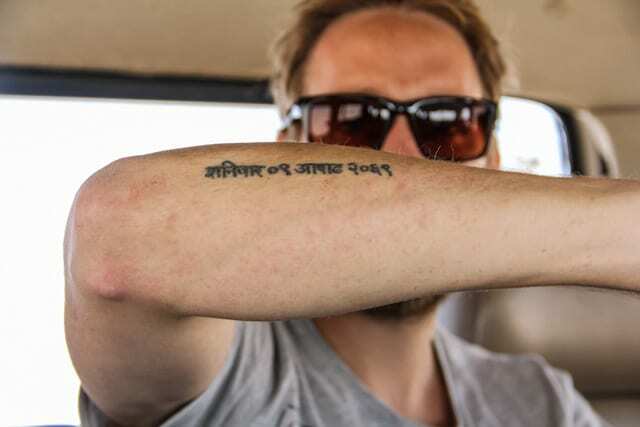 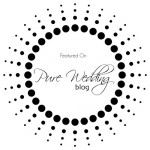 We bade farewell to our dear Markles, who was heading down to Chile, and we boarded a plane to La Paz… this would prove to be the most terrifying experience of our lives… It was an 18 seater propella plane with a bench seat in the backrow and no toilet. 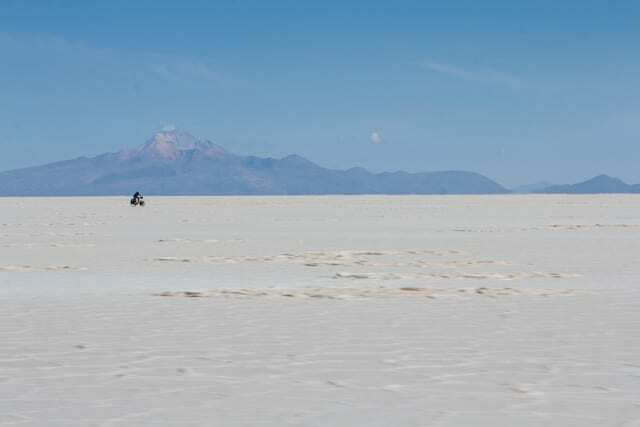 There was no hostess and the cockpit had no door. 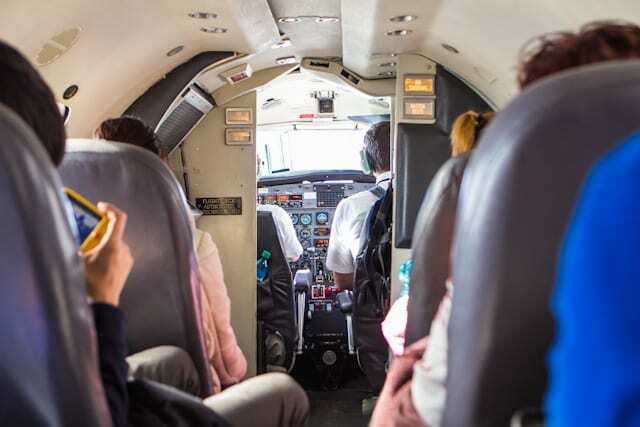 I am not a big fan of small planes at the best of times so I just tried to read through our 45 minute flight while our pilot played on his Blackberry (yes, really). 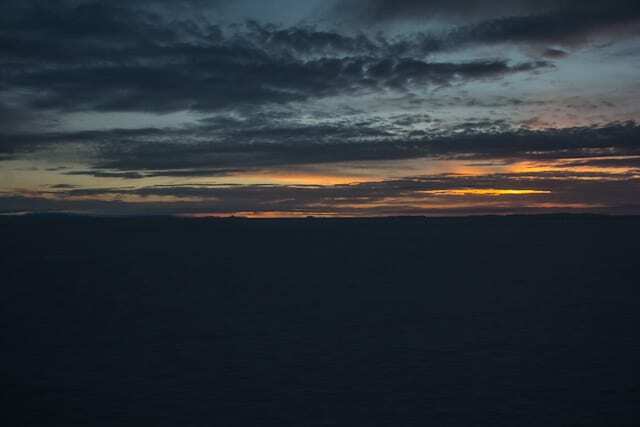 Eveything was going fine until about half way through our flight (in which the pilots navigate by sight) we flew into a monstrous black storm that began throwing our plane around like a kite in a strong wind! 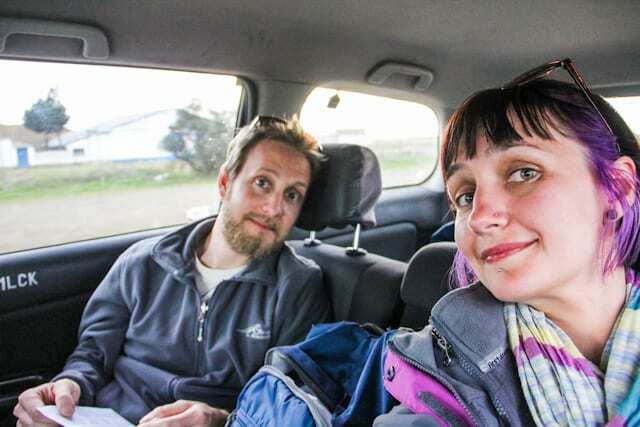 Rain loudly pelted the roof of the plane that was only centremetres from our heads, all this reaffirming the fact that we were in a tin can hurtling through the sky! 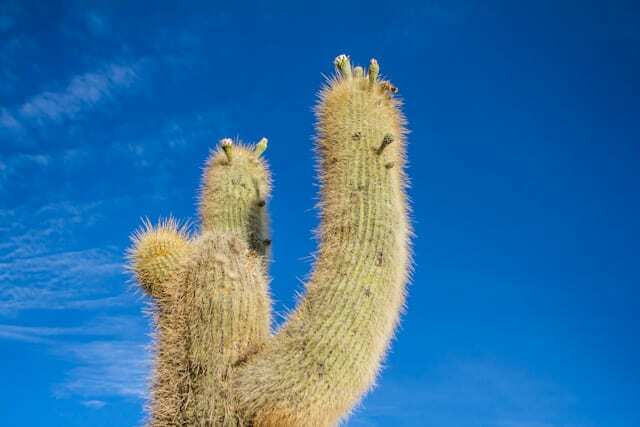 The pilots both gripped their steering wheels(?) 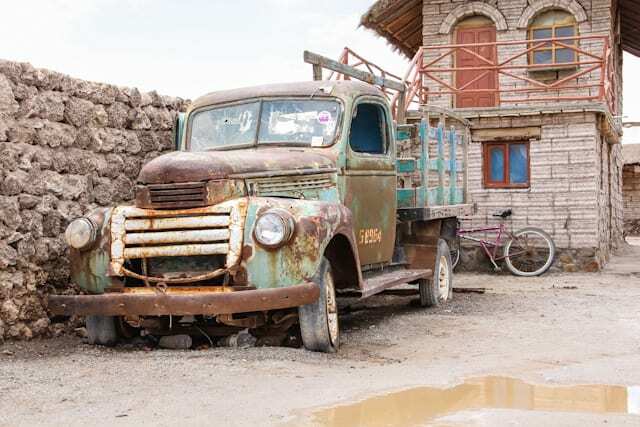 while the controls flashed and screeched with warnings and hazards. 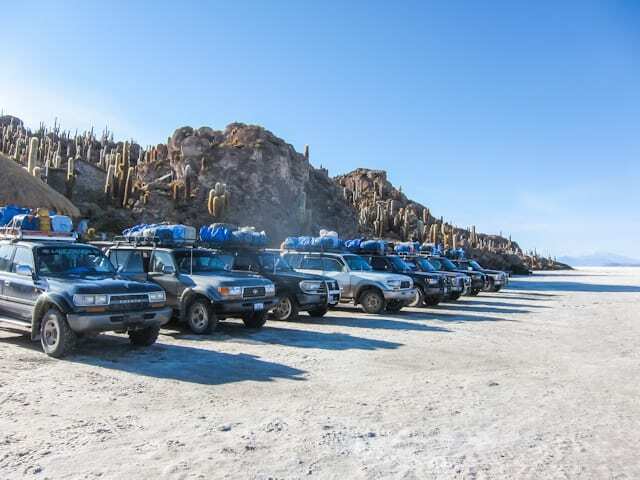 Andy and I clung to each other across the aisle strapped into our flimsy seats bolted to the floor with what looked like a number 13 spanner. 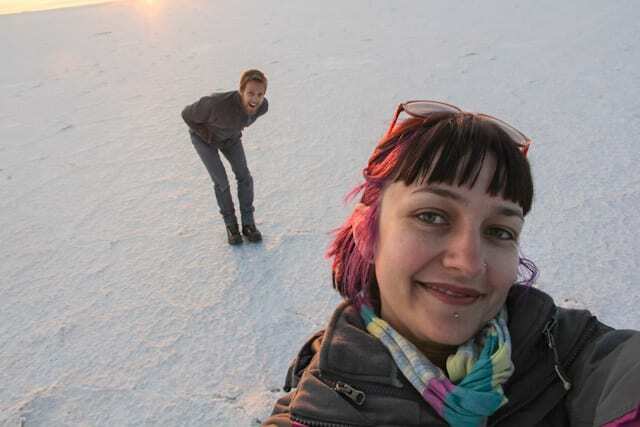 I think we really both did think we were going to die. 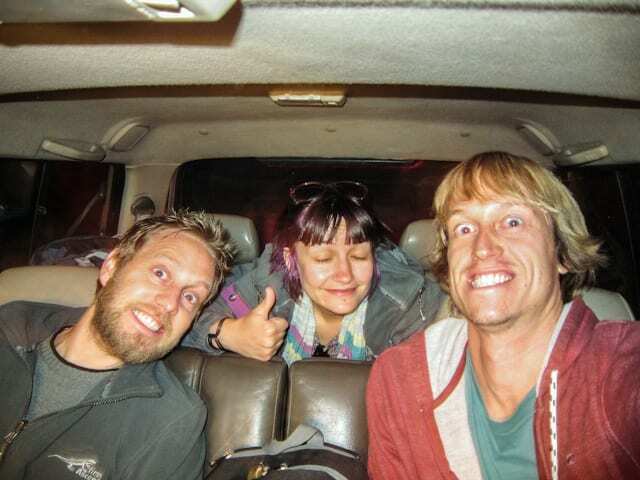 Somehow, nearly two hours later our heroic pilots managed to get us safely onto the ground in La Paz. 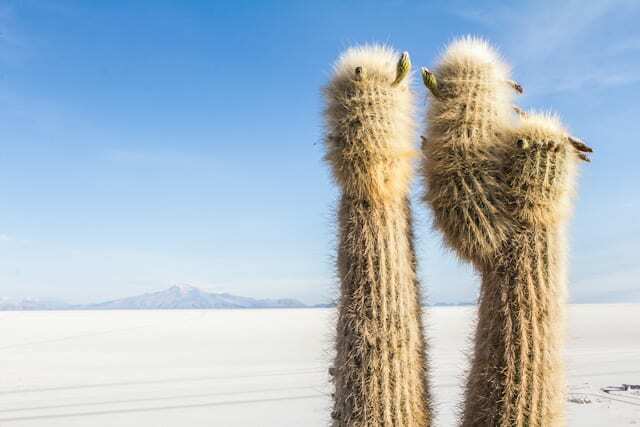 As our jelly legs led us off the plane Andy thanked the pilots who both laughed nervously at his obvious relief to be alive. 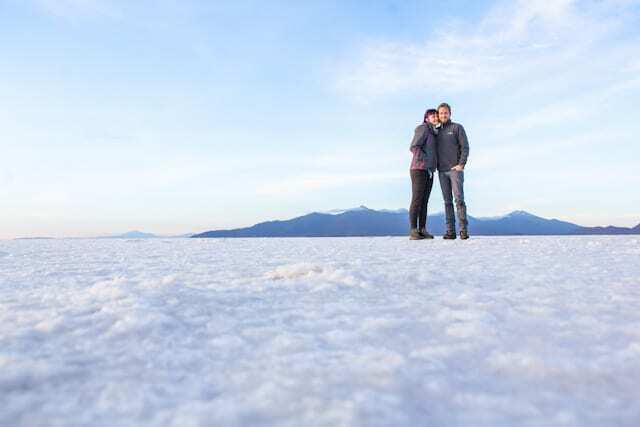 He then then staggered down the plane’s steps and promptly kissed the runway. 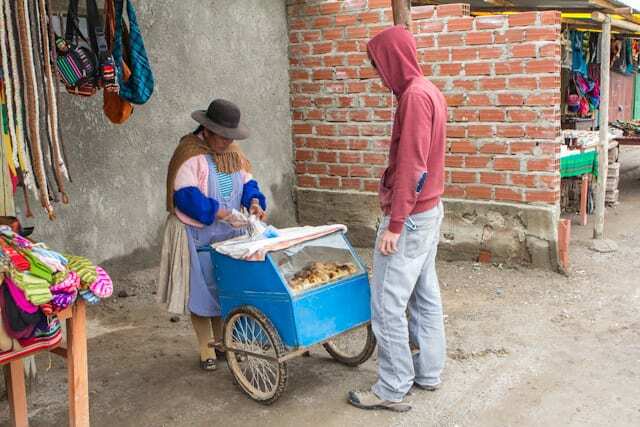 The last pic is of us much shaken making our way down into La Paz.